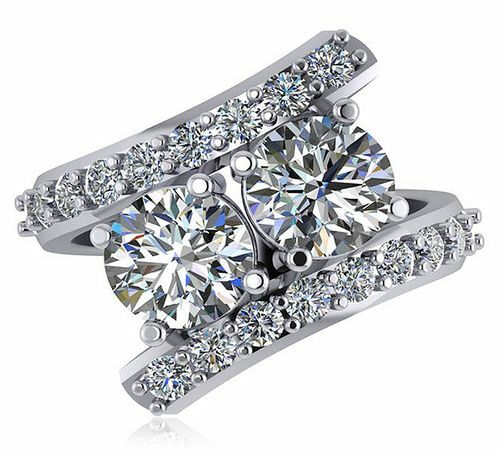 Our 1.5 Carat Each Cubic Zirconia Two Stone Round Bypass Pave Engagement Ring is the perfect way for couples to express their love for each other. 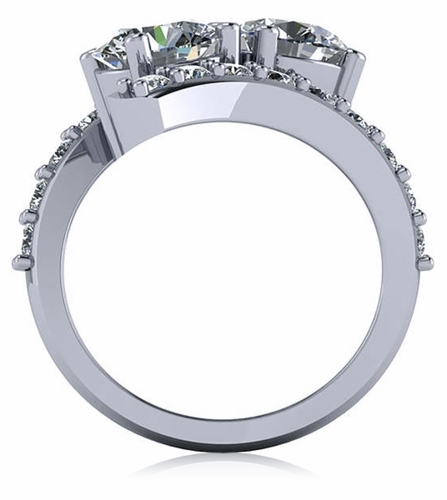 This engagement ring features two prong set round 1.5 carat simulated diamond cubic zirconia stones. 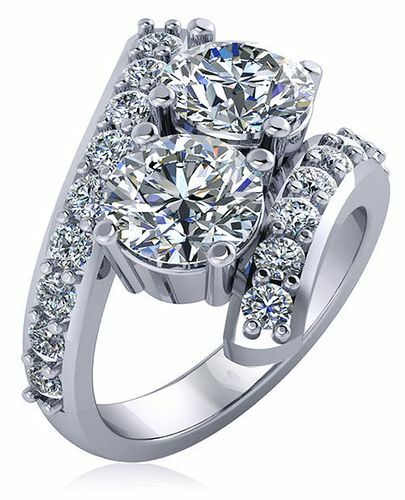 Additional pave set round simulated diamond cubic zirconia stones line halfway down both sides of the shank that flow up and bypass each other to fully highlight each 7.5mm round cubic zirconia. The entire top of the ring, measures approximately 20mm in width. 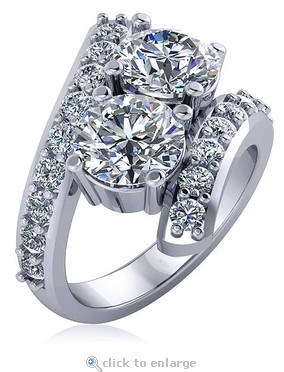 This couples style double bypass ring includes approximately 4 carats in total carat weight of the finest hand cut and hand polished Russian formula cubic zirconia. Choose from 14k white or 14k yellow gold, 18k white or 18k yellow gold and luxurious platinum. Whole and half finger sizes are available in the pull down menu and additional finger sizes can be ordered, please call for details. This style is also available with 1 carat each rounds, please see item R2018R1. For further assistance, please contact us directly at 1-866-942-6663 or visit us via live chat and speak with a knowledgeable representative.